The second highest grosser of 2017, the blockbuster Tiger Zinda Hai, has an actor playing a Muslim army officer working in the Research and Analysis wing(R&AW). He is selected by the team leader played by Salman Khan, for his expertise in sniping. In one of the scenes, another teammate questions the Muslim army officer’s patriotism, who is shown fishing out an Indian flag from his rucksack to prove his nationalist credentials. Presumably, the Muslim director of the film wanted to show that Muslims can be patriots too. The moot question is: Why the doubt? The Muslim army officer is an endangered species. Official figures are unavailable as to the number of Muslims in officer ranks in the army. Innovative ways, therefore, are to be found to get an approximation. 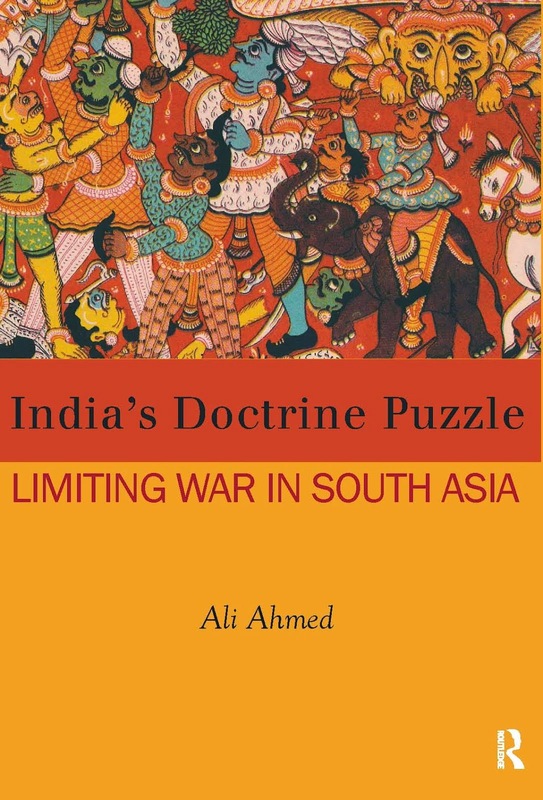 One such attempt has been made by going through the Indian Military Academy’s (IMA) biannual commemorative volumes for each passing out course (Ahmed 2012). The number of Muslims could be tallied from the name and one-line description of each Gentleman Cadet (GC) of the passing out course beneath the squadron-wise course photos. It being relatively easier to pick out Muslim names, it is possible to be more confident of the numbers, than, say, if educated guesswork is done to compile the numbers for those belonging to the Scheduled Caste from lists of names, as was the methodological problem faced in one such exercise (Aggarwal et al 2015). While there are multiple officer entry streams apart from the IMA, such as short service commissions from the academies at Chennai and Gaya, these would take the absolute tally up, but are unlikely to change significantly the relative presence of Muslims in officer ranks. If one contrasts these figures to the figures on GCsfrom Afghanistan—with which India has a strategic partnership agreement since 2011—who have passed out of the IMA, the journals indicate that India has trained some 50 Afghan GCsper term; thereby, training about five times more Afghans than Indian Muslim GCswhile its own Muslim population is five times larger than that of Afghanistan. The consistency in dismal numbers of Muslims obtaining the President’s Commission suggests that there is little know­ledge, leave alone an understanding, that this is a problem calling out to be remedied. Recall, Muslims, at 172.2 million in India, account for 14.23% of India’s population. It is apparent that Muslims are under-represented. The unfortunate part is that this is unsurprising. The Sachar committee—the Prime Minister’s High-Level Committee for Preparation of Report on Social, Economic and Educational Status of the Muslim Community in India—was set up to seek an answer, among other things, to: “What is the Muslims’ relative share in public and private sector employment?” (Sachar Committee Report 2006). The answer it reportedly received from the army was that the army had 29,000 Muslim troops (Unnithan 2006), which adds up to 2.63%. These are embarrassingly low figures. In the two recent courses examined (Autumn 2016 and Spring 2017), only two Muslims held a “tabbed” appointment as the lower-rung Junior Under Officers, responsible for a platoon (the subordinate grouping to a company). The appointments are indicative of the relative order of merit of the GCthat is fixed on passing out. Of the surfeit of academy awards, only one Muslim GCreceived a mention for meritorious performance in equestrian sports. The effects of under-representation and underperformance persist into their careers. Since only professionally sound officers land instructional appoint­ments at the IMA, it is possible to see how Muslims are faring by examining whether they find representation in the IMA’sfaculty. Lt Gen (Retired) Ata Hasnain, the notable defence commentator, was once an instructor at the IMAas a major. The instructional staff names appear in lists below the group photos of the training faculty and academic staff in the IMAjournals. There were no Muslim officer instructors in two of the terms examined, one each in 2008 and 2011. In the latest two editions of the journal, there was a single Muslim major visible in the Autumn 2016 edition and two in the Spring 2017 edition. is recently retired Lt Gen P M Hariz, one of the two generals controversially passed over for promotion to army chief in late 2016. The situation is equally appalling when the non-officer instructor lists are examined in the journals. In eight of the journals (six of the earlier set from 2005–11 and two of the latest (2016–17), of the non-officer instructor staff in the consequential training section comprising 100 ustads (non-officer instructors), none were Muslim. The only field having consistent Muslim presence is equestrian, owing to the instructors largely coming from the only horsed cavalry regiment that traditionally has had Muslims in its ranks, 61 Cavalry. Is whistle-blowing on this score warranted? The army values its apolitical and secular image. It believes that it can only work on the youth the communities themselves forward, and that it is an ­all-volunteer army of a free country into which any eligible citizen can step up for recruitment. Given that it does not acknowledge that a problem exists, it is unlikely to take any steps to mitigate it. However, under-representation is not only a “minority problem,” as Muslim issues are usually clubbed together. Any claim that the army is an equal-opportunity employer is questionable. The biannual media write-up on the passing out parades at the IMAinvariably provide a state-wise break-up of the officer commissions. At the last passing out parade in December 2017, of the 409 GCspassing out, 76 GCs were from Uttar Pradesh (UP), 58 from Haryana and 29 from Uttarakhand (ToI2017a). The June 2017 passing out parade had 423 GCspassing out, with 74 from UP, 49 from Haryana, 40 from Uttarakhand, 30 from Rajasthan, 28 from Bihar and 23 from Delhi (Pioneer 2017). Thus, a substantial proportion of the officer corps appears to be coming from a ­narrow, if populous, segment of India’s sub-nationalities inhabiting North India. At the last passing out parade—one reviewed by the Bangladesh army chief—there were only six Bengalis. This implies that a majority of Indian communities, taken socially (as in case of Muslims) and geographically (East and South Indian communities), are under-represented. A research scholar writes, “Just as Muslims are under-represented in the army, so are the Bengalis, Biharis, Oriyas, South Indians or Gujaratis. And just as Sikhs are over-represented, so are the Jats, Dogras, Garhwalis, Kumaonis, Gurkhas, Marathas and others” (Saksena 2014). Arguably, the army does not reflect India’s diversity sufficiently. The soldiery is not the focus here. As military sociologist Samuel Huntington (1957: 8) reminds us, the significance of officership to military professionalism is critical. Being apolitical and remaining so is a critical aspect of military professionalism. An officer corps that is non-representative socially or ethnically opens itself to the possibility of losing its apolitical and secular character. It is liable to unwarily reflect the political inclinations of its catchment areas. Over this decade, right-wing ideological trope and memes have been liberally exchanged on the army’s social media networks (Ahmed 2017). The army chief recently has had to remark that keeping politics out of the army was necessary (ToI2017b). Since he did not clarify his remarks, there are two possibilities. Either he is apprehensive of the right wing’s penetration into the military, or he is against the emerging pushback within the army against such penetration. The latter reflects the discourse within the middle class, a step back from their falling uncritically for the so-called Modi wave initially. Reverting to the scene in Tiger Zinda Hai, it can be inferred that the MuslimR&AWofficer’s teammate perhaps did not have sufficient professional and social interactions with Muslims owing to there being very few Muslims in theR&AWand Muslims over the past two decades having been increasingly pushed into urban ghettos, respectively. TheR&AWbeing in the intelligence agency keeping a keen eye on the shenanigans of Pakistan, he has perhaps acquired a prejudiced mindset in this organisation. A similar effect can be apprehended within the army too. There are too few Muslim fellow officers whose professional showing can help dispel the negative stereotypes that have come to be associated with Muslims in general. The army also has a cloistered social space, restricting social interaction outside its cantonments. Virtually every officer has rotated out of operations in Muslim-dominated Kashmir, where, in one popular perspective in the army, he is up against a jihad (Hasnain 2016: 157). Army Chief Bipin Rawat, interacting with the press on the eve of Army Day, hazarded that Kashmir’s education system is suspect and that its madrasas (religious seminaries) and masjids (mosques) bear watching (Business Standard 2018). More Muslims in the officer corps could be preventive, leading to greater self-regulation in social media exchanges that forge the negative perception of Muslims and Islam. An increase in their numbers on the ground in operations could mitigate any adverse fallout, such as, for instance, egregious violence inspired by misinterpreting problems with Pakistan and in Kashmir as a religious or civilisational war. Since the army can be expected to be less than forthcoming on change—especially since ethnicities that are well represented apprehend a loss of employment opportunity, power, and the welfare slice of the defence budget—for now, only a sensitisation to the problem at hand can be done. Change can await democratic ousting of the current day government, not known to be predisposed to the minority in any way. Take, for instance, the discontinuing of the publishing of the numbers of Muslims in the police force early in its tenure. The decline by one percentage point of Muslims in half a decade—from 7.55% in 2007 to 6.55% in 2012—was put out by the National Crime Records Bureau (Sheikh 2015). This was during the United Progressive Alliance’s (UPA) rule, which the then opposition and current day ruling dispensation had held to be guilty of the appeasement of Muslims. Change should not be read as affirmative action, but focused on recruiting processes targeting India’s missing mino­rities, ethnic and social. An Equal Opportunities Commission and a National Data Bank, both recommended by the Sachar Committee, are needed. For now, the army’s outreach programs could be redirected towards absent communities. For their part, Muslim communities across the country need to identify service in the military as an area for diversifying their presence and contribution to national life. Quite like how Muslim communities are endeavouring to get their wards into the civil services by setting up coaching centres, such centres also need to be set up for cracking the army officer entry exams. A long-term effort should be to encourage Muslim boys to attend Sainik schools run by states. Alongside, Muslim girls must be encouraged to opt for the Officers Training Academy, Chennai. Pluralism and a rejection of intolerance are the sine qua non for Indian demo­cracy. These stand gravely threatened. The pernicious challenge to democracy that majoritarian extremism represents has not left any institution unscathed, including the army. Internal diversity, both social and geographical, can help insulate security organisations from the ongoing attempt by cultural nationalists to collapse “Hindu” and “Hindustan” into one. 1 “Merit Lists, Joining Letter Status,” Join Indian Army, Government of India, http://joinindianarmy.nic.in/alpha/~/merit-lists.htm. 2 A company is equivalent to a “house” in schools. Three GC companies make one battalion. 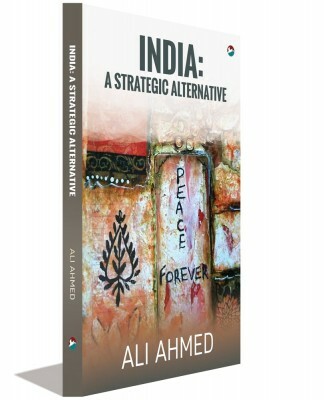 Ahmed, Ali (2012): “The Army: Missing Muslim India,” Mainstream, Vol 50, No 27, http://www.mainstreamweekly.net/article3529.html. — (2017): “Dark Side of Army’s Social Media Groups,” Tribune, 2 March, http://www.tribuneindia.com/news/comment/dark-side-of-army-s-social-media-groups/371308.html. 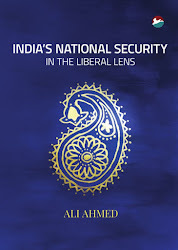 Hasnain, Ata (2016): “A Counter Proxy War Strategy for Jammu and Kashmir,” The New Arthashastra: A Security Strategy for India, Gurmeet Kanwal (ed), New Delhi: Harper Collins. Huntington, Samuel (1957): The Soldier and the State: The Theory and Politics of Civil–Military Relations, London: The Belknap Press. Sheikh, Zeeshan (2015): “Data on Muslims in Police Will No Longer Be Public,” Indian Express, 30 November, http://indianexpress.com/article/india/india-news-india/data-on-muslims-in-police-will-no-longer-be-public/. ToI (2017a): “IMA POP Today, Maximum New Officers from UP, Haryana & U’khand,” Times of India, 8 December, https://timesofindia.indiatimes.com/city/dehradun/ima-pop-today-maximum-new-officers-from-up-haryana-ukhand/articleshow/61986724.cms. — (2017b): “Military Should Be Kept Out of Politics: Army Chief,” Times of India, 6 December, https://timesofindia.indiatimes.com/india/military-should-be-kept-out-of-politics-army-chief/articleshow/61946177.cms. Unnithan, Sandeep (2006): “Sachar Committee: Congress Minority Agenda Comes under Scrutiny,” India Today, 27 February, https://www.indiatoday.in/magazine/nation/story/20060227-sachar-committee-congress-minority-agenda-comes-under-scrutiny-785928-2006-02-27.